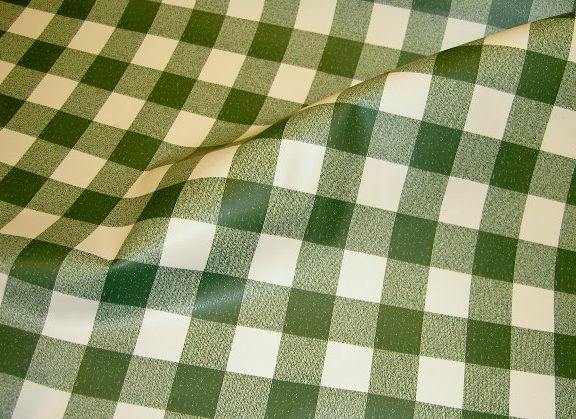 Coated fabric for cloth with blue white or red white checkers. Great for any where people or perhaps kids will be spilling stuff. Checkers are ca. 1x1 inch. Is waterproof and can be whiped with a wet rag. Lightweight coated fabric in red-white kitchen checks. Black-white coated fabric with beautiful checks of 1½ cm. White and blue kitchen checks, classic design, 1x1 cm checks. Blue and white 2,5 x 2,5 cm checkered coated fabric. Red and white checkered coated fabric with 3 x 3 cm checkers. Kitchen 2mm checkers in orange and white. Kitchen 10 mm checkers in limegreen and white. Kitchen checkered cotton 2 mm checkers. Kitchen checkered cotton 10 mm checks in black, grey, soft-red, beige. Kitchen checkered cotton 10 mm checks in blue, light blue, red and green. Waxed and coated fabric with checkers.